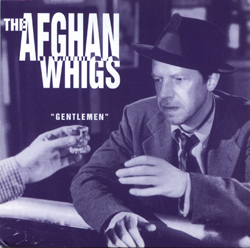 The Afghan Whigs 'Gentlemen' 12' and 7" singles. A film still from 'The Lost Weekend' featuring Ray Milland had to be altered when permission was denied. Milland's head was replaced by that of John next door.